It’s December. Let’s remind ourselves of summer days. I know this blog is called ‘Cars on Streets’ but here are a few cars off streets. I think most local councils have now stopped vehicular access to beaches in the UK and having lived in countries where it is common and where cars and quad bikes race up and down and you fear for your life walking to the sea, I am not really sorry. However, all looks very peaceful here. Brean Down near Western-Super-Mare in Somerset. Brean Down again from a different angle. This postcard was posted in 1956. Criccieth in North Wales in the fifties. Port Gaverne, near Port Isaac in Cornwall. Blakeney in Norfolk. It’s a nature reserve now. Pendine Beach in the sixties. Pendine Beach again. 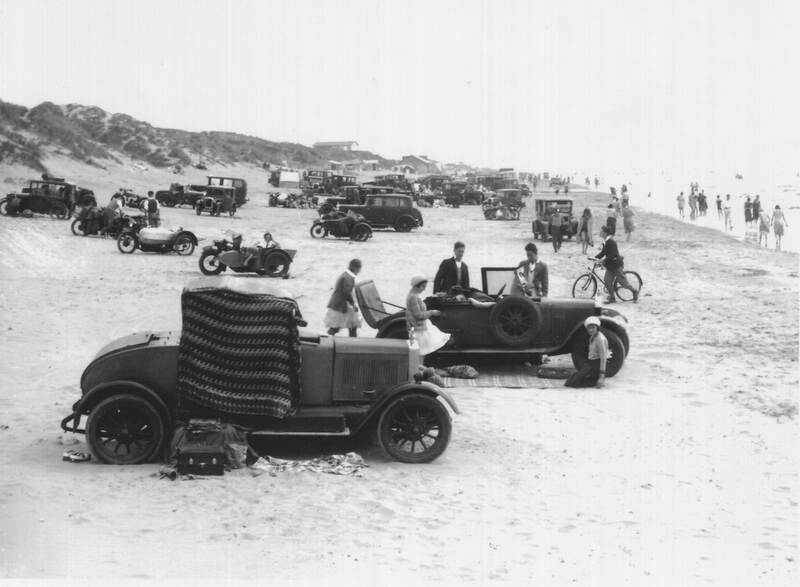 The beach – the Pendine Sands – were previously used for world speed record attempts and motorcycle racing. Looking longingly at Small Hope Beach, Shanklin Aug 1931. No room for cars down there!